True North Gear® is a family-owned and operated company founded in 1992 by Alyx Fier. True North® has grown from a one-man operation to an ISO 9001 registered company whose products are distributed worldwide. In addition to packs and bags for firefighters and SAR under the True North® label, our products include a broad range of fire resistant clothing under the DragonWear™ label. 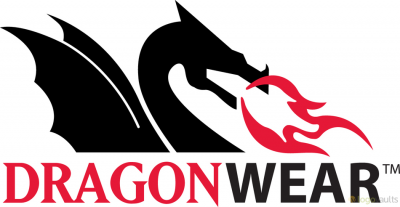 All DragonWear FR fabrics are inherently flame resistant, tested in both in-house and independent state-of-the-art laboratories, and pass relevant industry certifications. We use advanced fabric technology; DuPont™ Nomex® inherently flame-resistant fabric and Polartec’s® FR layering system fabric. All our products are designed for safety and comfort and offers the ultimate lightweight, breathable, wind-resistant, water-repellent, wicking comfort. The permanent fire-resistant protection won’t melt, drip, or support combustion in the air. It cannot be washed out or worn away.to lack of comfort. Our Comfortable FR Wear® uses inherent drirelease® technology that wicks moisture from your skin and dries faster than cotton, helping to regulate your skin temperature and keeping you drier in hot and cold environments. Whether you are wearing our lightweight T-shirts or our woven work shirts, DRIFIRE garments will help you stay comfortable across weather conditions so that you can get your job done safely and effectively. And with antimicrobial protection that inhibits the growth of bacterial odors, you’ll also stay fresher longer.